Explore the desert from above! Our Xcitor tandem flight offers a truly unique experience - unlike any other aircraft in the world. Its versatility and high level of safety allow us to give you the ultimate Dubai desert experience. Imagine flying over sand dunes, just meters above the ground, watching gazelle gallop through the desert. 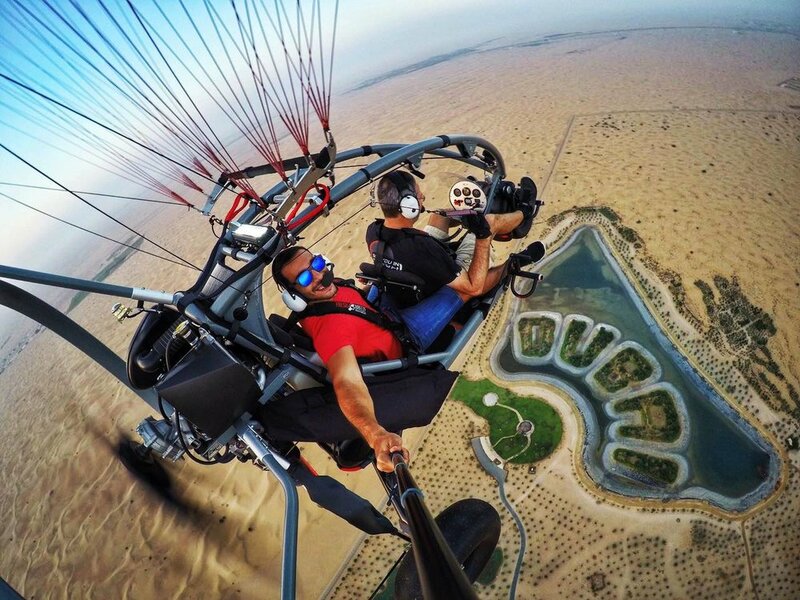 Climbing up high for a selfie with Dubai Lake, before exploring the local camel farms and villages. Or if you are brave enough - ask your pilot for an adrenaline pumping aerobatics flight including high-G spirals and hair-raising low-level flying. We are here to make it your perfect desert flying experience, and will fly to your limits to make it a memorable and amazing experience!